Seen from ground level, the ramps, taxiways, and runways of a large airport are confusing to navigate around. It is notoriously easy for pilots to become disoriented and to turn the wrong way, even if they have a map in front of them. Unlike the environment in which cars drive, where roads are isolated strips of pavements, the taxiways at many airports are simply painted onto a single large paved area called a tarmac. Taxiing is similar to driving around a large parking lot. Depending upon the lighting, and the number of other cars around, it can be difficult to see where the lanes are, causing some drivers to head across the lanes or to drive in the wrong direction down the isles. Airports do have the advantage of standardized signs that identify taxiways, intersections, and runways, however, unlike roads, there are no traffic lights, or even stop signs. Instead, pilots must rely on controllers to manage the traffic flow. Taxiway mishaps do occur, and sometimes result in minor "wing dings." After all, the speed limits on taxiways are usually quite low. Runway incidents tend to be more serious, and often result in tragedy. A prime example was ComAir flight 5191 at Blue Grass Airport in Lexington, Kentucky. Early in the morning of August 27, 2006, before daylight, the crew completed their pre-flight preparations, contacted ground control, and began taxing their CRJ-100 jet to the departure runway. Unfortunately, they made a wrong turn, which neither the controller, nor the crew caught. As a result, the crew attempted to take off on the wrong runway, a runway that was much shorter than the one they believed they were using. It was a runway intended for small propeller planes, and not for jets. The plane was still accelerating when it ran off the end of the runway, momentarily climbed into the air, and crashed into an adjacent stand of trees. The crew never even knew what happened. All of the 47 passengers and two of the crew lost their lives. The only survivor was the First Officer (Copilot), who suffered severe injuries, including brain damage. Honeywell has developed a software product with the goal of preventing this type of tragedy from happening again. The Runway Advisory and Awareness System (RAAS) is a software package that works with the Enhanced Ground Proximity Warning System already installed on most airliners. Using GPS data, RAAS is specifically designed to aircraft track movements on the ground in reference to the taxiway and runway layout of specific airports. The system alerts pilots each time they turn onto a new taxiway or runway, and verbally identifies the taxiway or runway they are on. Moreover, if an aircraft begins to accelerate to takeoff on a taxiway, or on the wrong runway, the crew will be immediately alerted. Alaska Airlines is the first U.S. carrier to deploy this technology on its entire fleet. According to press releases, Alaska Airlines worked closely with Honeywell in development, and helped test the system over the last three years. RAAS is only the first step in using new technology to avoid runway and taxiway accidents. A new ground radar system is being developed by Sensis Corp that will automatically alert air traffic controllers when an aircraft ventures where it should not go. This radar system is designed to communicate directly with the RAAS systems on individual aircraft, so that potential collisions can be identified before they occur. The Sensis ground radar is scheduled to be installed at many U.S. airports in the near future. 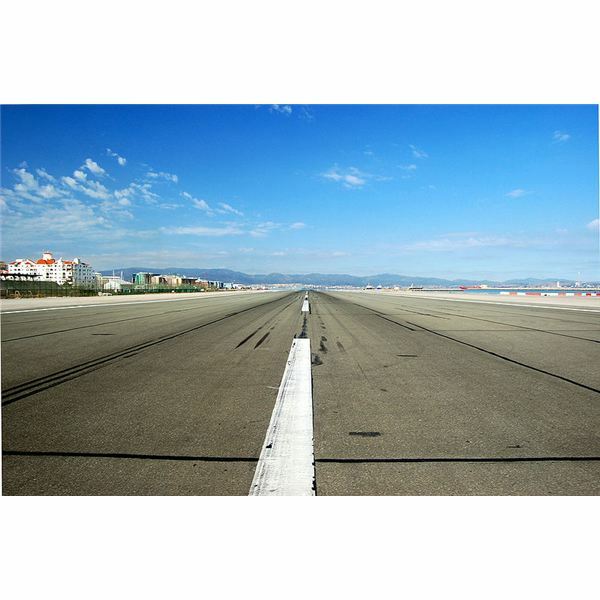 Runway safety is one of the most important aspects in safe airline practices. Alaska Airlines helped establish the current procedures for airline runway safety.